Dispatched, from the UK, within 48 hours of ordering. This book is in good condition but will show signs of previous ownership. Please expect some creasing to the spine and/or minor damage to the cover. Inscription on the first page, typically just a name but may include a dedication or a brief personal message. Bates, Amy June. Very Good. 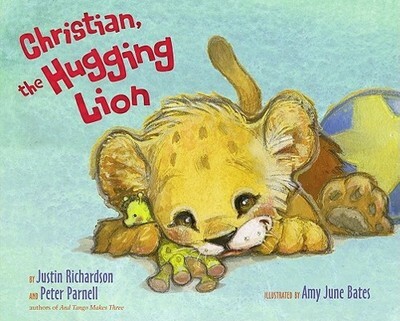 A heart-warming book based on the true story of two men who raised and loved a lion cub, which millions of fans know through the popular YouTube video. Picture book. 32 p. Full colour. Intended for a juvenile audience.